You may well have seen in the news over the last few days that the Government has proposed to end the rule requiring new religious schools to keep at least half of their places open to children from the local area, irrespective of religion or belief. The proposal represents a triumph of religious lobbying over thoughtful and evidence-based policy-making. 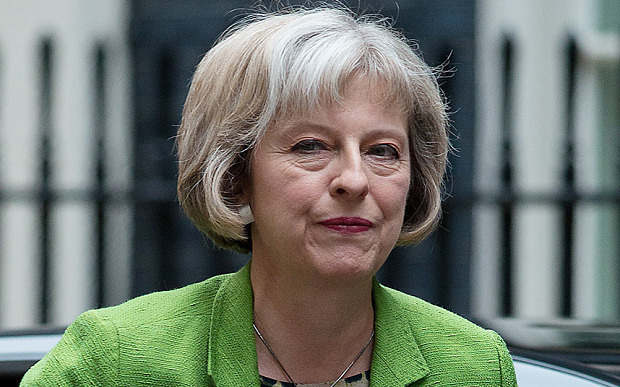 Here are the five ways the Catholic Church of England and Wales and the Catholic Education Service seriously misled the Government into making the move. 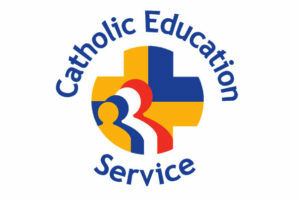 ‘When a faith-designated Free School is oversubscribed, it must limit the number of pupils it selects on the basis of faith to 50 per cent… [This] does prevent new Catholic schools opening, because the Catholic Church believes it contravenes its own rules for a Catholic Bishop not to prioritise the admission of Catholic pupils…we will remove this 50 percent rule to allow the growth in capacity that Catholic schools offer’. The PM is referring here to the Church’s claim that opening schools that do not prioritise Catholic children for all of their places would ‘contravene canon law’. The quite remarkable nerve with which the Church and the Catholic Education Service (CES) has made this false assertion is matched only by the astounding credulity of the Government and its readiness to accept it without so much as a question asked. And it is a false assertion. Recent research shows that the overwhelming majority of Catholic private schools in England do not set a religious test for all of their places, as is being claimed must be the case in the state sector. In fact, just 18 of the 101 Catholic private schools in England surveyed by the British Humanist Association (BHA) gave full priority to Catholics. 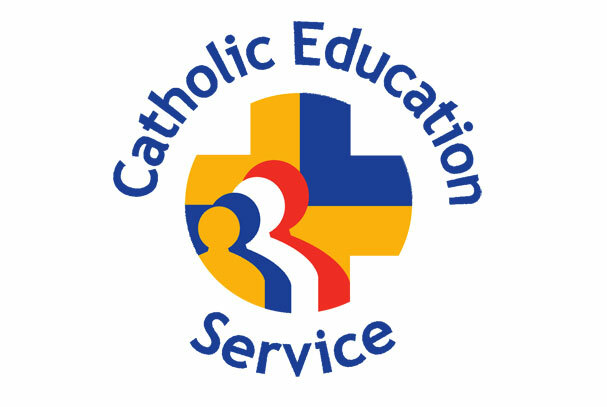 A cursory look at the websites of these Catholic schools reveals statements like ‘we do not select for entry on the basis of religious belief’ and sentiments explaining this approach like ‘diversity serves both to enrich our community and to provide a vital ingredient in preparing our pupils for today’s world’. If the CEE believes that these schools are breaking canon law, then presumably it would have moved to bring them in line by now. Given that it has made no such move, this appears to be less about enforcing canon law, and more a case of ‘one rule for the rich, another for the poor’. Incidentally, if that wasn’t proof enough that the CES has pulled the wool over the Government’s eyes, it’s worth pointing out that a great many Catholic state schools in Scotland do not select on the basis of faith either, and though we might see religious selection as part of our educational furniture, we are one of just four countries identified by the OECD that even allow this in the state sector, the others being Estonia, Ireland, and Israel. It is a further sign of the ‘ignore-the-evidence-ignore-the-experts’ zeitgeist which we now live with that this claim can even still be made. It is also another triumph of Catholic Education Service spin and dishonesty. It has been proved time and time again that any difference in the performance between religious and other schools is attributable entirely to the socio-economically skewed intake that religious selection produces. This is the point made by academics Stephen Gibbons and Olmo Silva in their paper Faith Primary Schools: Better Schools or Better Pupils?. It is evidenced by the research of the Fair Admissions Campaign, which found that though a disproportionate number of religiously selective schools feature in the top 100 best-performing schools by GCSE results, those schools take an average of 44% fewer children from poorer backgrounds than would be expected given their area. For the top 10 ranked religiously selective schools, that figure is 56%. And this effect has even been acknowledged in a report published by Christian think tank Theos which states that ‘the body of evidence appears to suggest [the better performance of faith schools] is probably primarily the outcome of selection processes’. So, it matters not a jot that Catholic schools are ‘more likely to be located in deprived communities’, as the PM mentioned in her speech, because they’re not actually admitting the deprived children from those communities. Either the CES has been successful in obscuring this evidence from Government – surprising given that it is also recognised in a research paper for the House of Commons Library– or the Government has wilfully ignored it. Neither looks particularly good. If this sounds wrong, it’s because it is. In fact, Catholic schools are ethnically diverse only to the extent that the Catholic population within urban areas (where the majority of Catholic state schools are situated) is diverse. More revealing, however, is that Catholic schools admit far fewer children from ‘Asian’ backgrounds given their local areas than pretty much any other kind of school in the country. 2013 research found that one in eight Catholic schools didn’t have any ‘Asian’ pupils at all, compared to just one in 729 schools with no religious character. Furthermore, analysis of the school ethnicity data used by the Government in its green paper reveals that the cap has a significant impact on diversity within Christian settings. At CofE free schools (i.e. that opened under the cap), 63% of pupils are classified as of ‘white ethnic origin’, but at fully religiously selective CofE schools, 78% of pupils are white. At ‘other Christian’ free schools, 55% of pupils are white, but at ‘other Christian’ schools that are fully selective, 85% of pupils are white. Of course, none of this is to mention that religious diversity is just as important as ethnic diversity, if not more so, and I would like to see anyone try to claim that Catholic schools perform well in this regard. If diversity is what the Government is after, Catholic schools aren’t their guys. One of the great myths present in the faith school debate, peddled chiefly by the CES of course, is that there is demand for faith school places. Unfortunately, it is a myth that again the Government has bought into. For the avoidance of doubt, there is very little demand for Catholic schools, and much less than existing provision caters for. What there is demand for is good schools and since, for the reasons given above, Catholic schools often get good results, parents can often be seen gravitating towards those of them that perform well. The numbers bear this out. Asked to pick their top three factors from a list of twelve that most inform their decisions about which school to send their children to, just 9% of parents picked religion. The vast majority, unsurprisingly, picked the performance of the school, how easy it was to get to, and what kind of area it was in, as well as other factors like facilities and class sizes. A similar poll found that just 5% of parents picked ‘Grounding of pupils in a faith tradition’ as important to their choice of schools and 3% picked ‘transmission of belief about God’. A third places in the state sector are already at religious schools; 10% are at Catholic schools. The idea that there is significant demand for more faith school places is simply nonsense. It’s also worth mentioning that religious selection is hugely unpopular among the public. The most recent poll on this found that 73% of people thought schools should not be able to discriminate on the basis of religion in their admission arrangements. So even if it could be shown that there was demand for faith school places, that still wouldn’t justify allowing all new schools to religiously discriminate for all of their places. Lastly, and crushingly, there’s a lot of evidence to suggest that many of the people trying to get into Catholic schools under the faith criterion are not really Catholic at all. Polls have shown that as many as 36% of parents have lied or would be willing to lie about their religion in order to get their child in a good, local school. And the Church’s own figures reveal that Catholic baptisms are moving away from birth and towards school admission deadlines in terms of when they’re carried out. While baptisms of children under one fell by 5% from 2001 to 2012, the number of late baptisms (almost all by age 13) rose by a staggering 29%. The willingness of parents to game the system (and who can blame them) should not be taken as evidence for high demand of Catholic schools. The last myth to deal with, again mentioned by the PM, is that this policy will increase choice for parents. We are surely not alone in seeing that religious selection is inherently the enemy of parental choice – it is the process by which schools choose children, instead of children and parents choosing schools. And even if that wasn’t true, let’s not forget that (ostensibly) increasing the choice for the 10% of the population who are Catholic has the effect of limiting the choice of the 90% who are not. As one parent whose experience was previously detailed on this site put it, ‘we had less choice of taxpayer-funded schools than someone whose child was a Catholic, has been baptised etc. Any of those people can of course apply to non-faith schools and get an equal chance of a place to us, but the converse is not true’. Well quite.